Friars, Seculars and Franciscan-hearted lay people from St. Camillus Multicultural Parish in Silver Spring, Md. joined hundreds of others outside the Supreme Court on April 18 in support of President Obama’s executive order to keep immigrant families together. From left: Fr. Jacek Orzechowski, OFM. Fr. 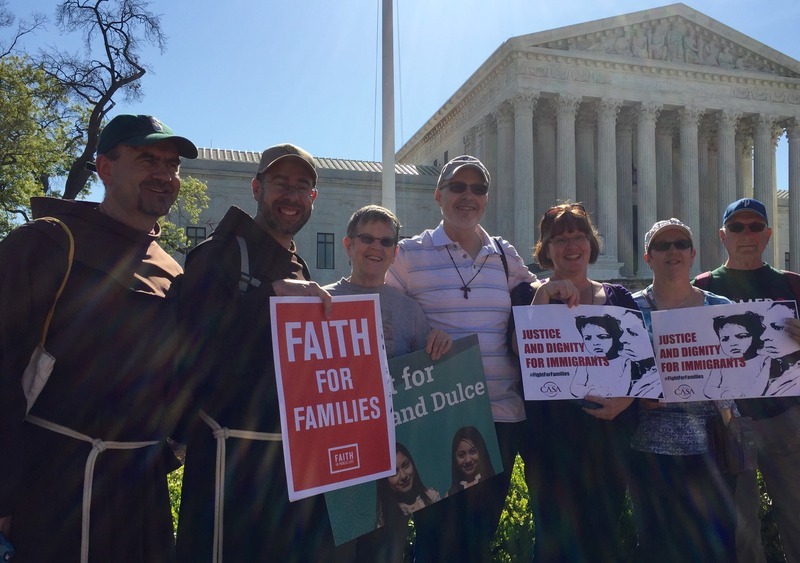 Erick Lopez, OFM, Pat Clausen, John Cusick, Kathy Gallaher, Evelyn Rivera and Don Clausen.